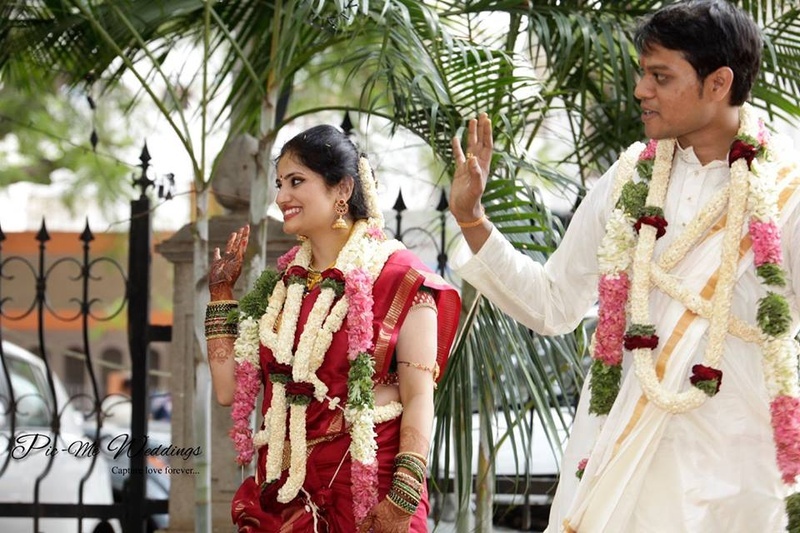 A florally decorated mandap hosted the union of two beautiful souls, Achala and Nagrajan. 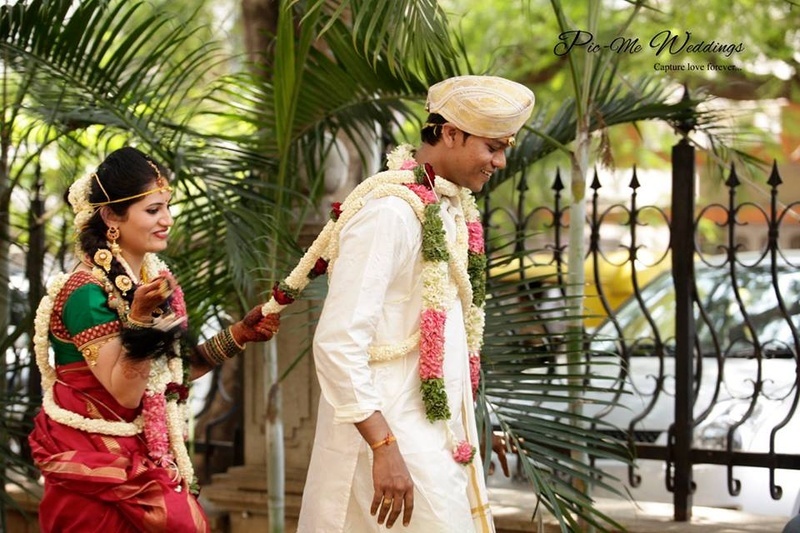 Dressed in traditional attire the groom donned a gold and white paisley patterned safa with a white dhoti-kurta and matching angavastram. 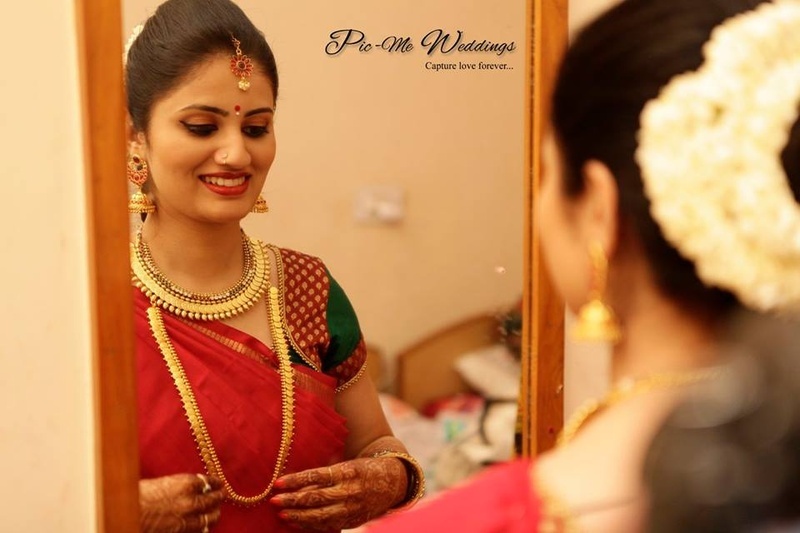 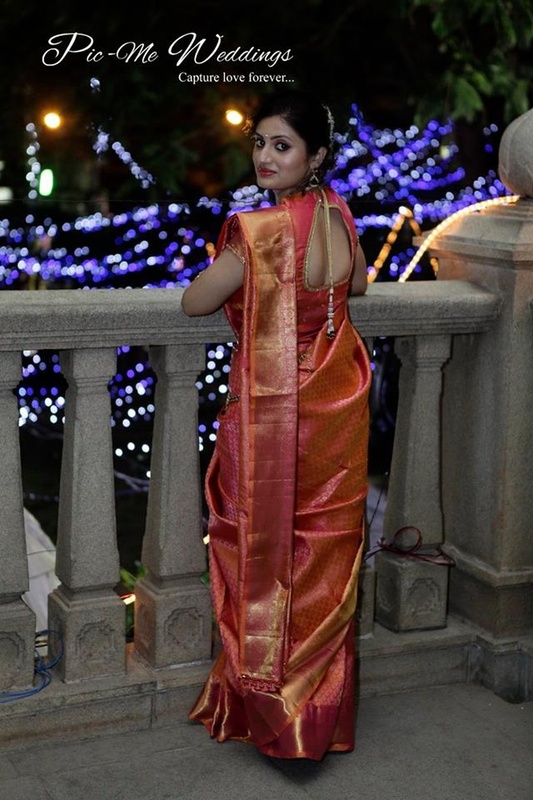 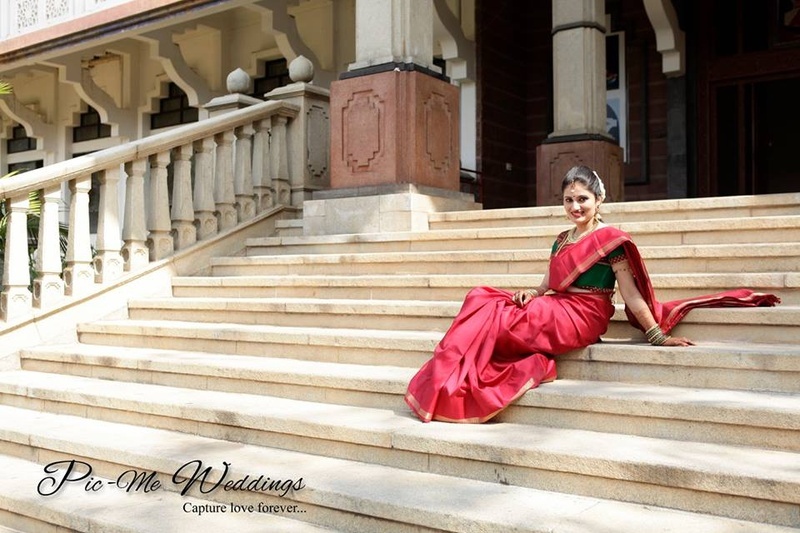 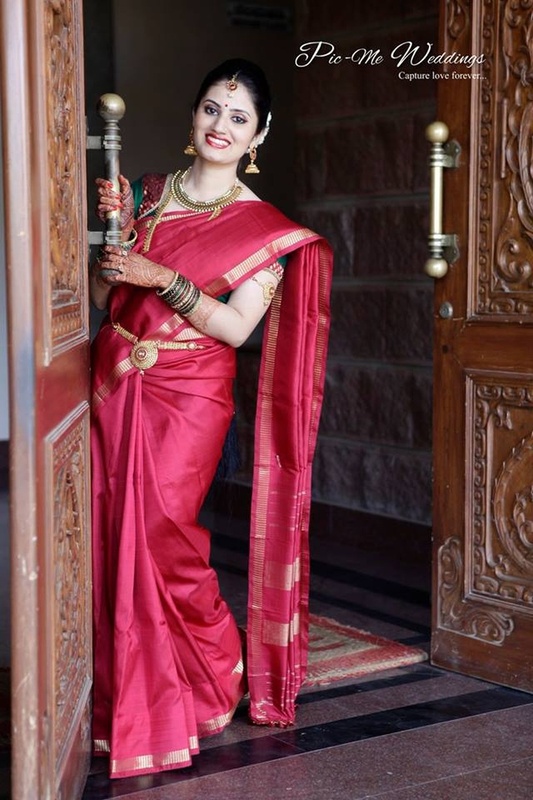 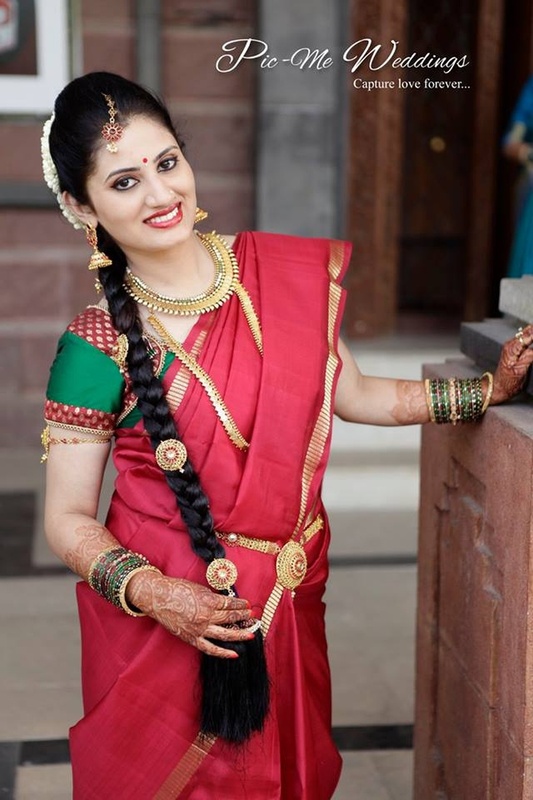 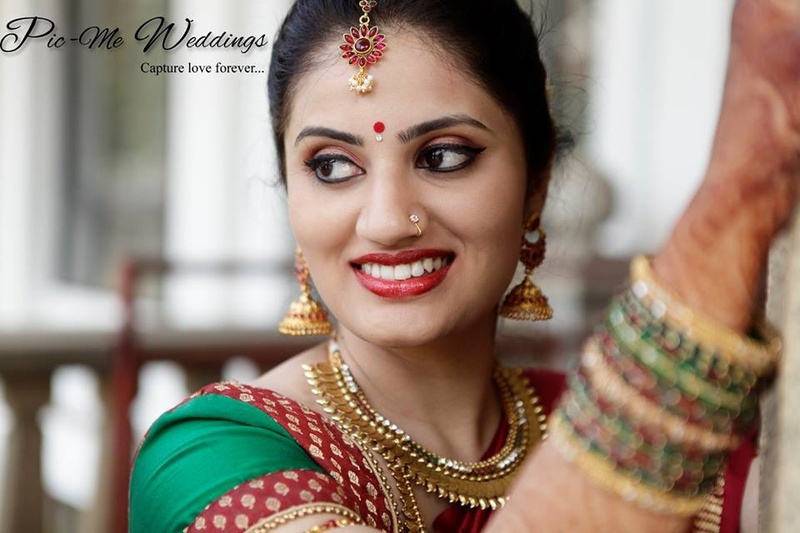 Achala, the beautiful bride, wore a simple red pure silk saree and paired it with a green blouse. 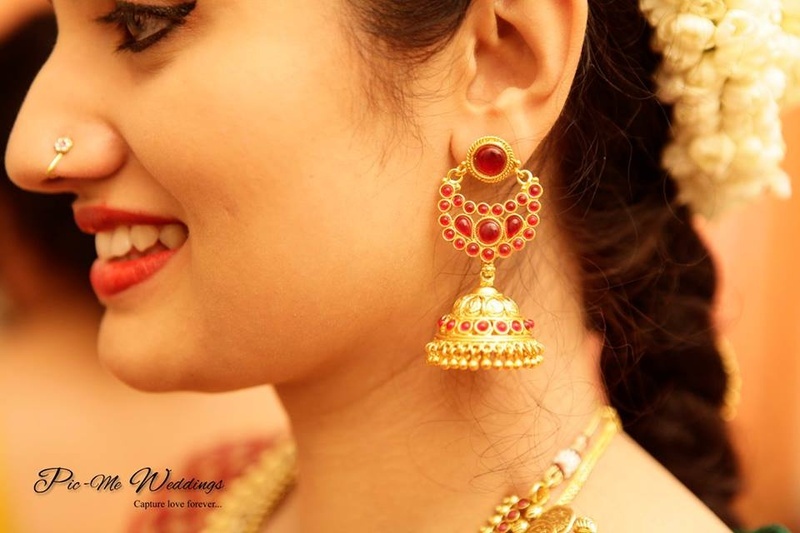 She enhanced her look with a gold kamarbandh , delicate maangtikka and jhumkas studded with Kempu stones. 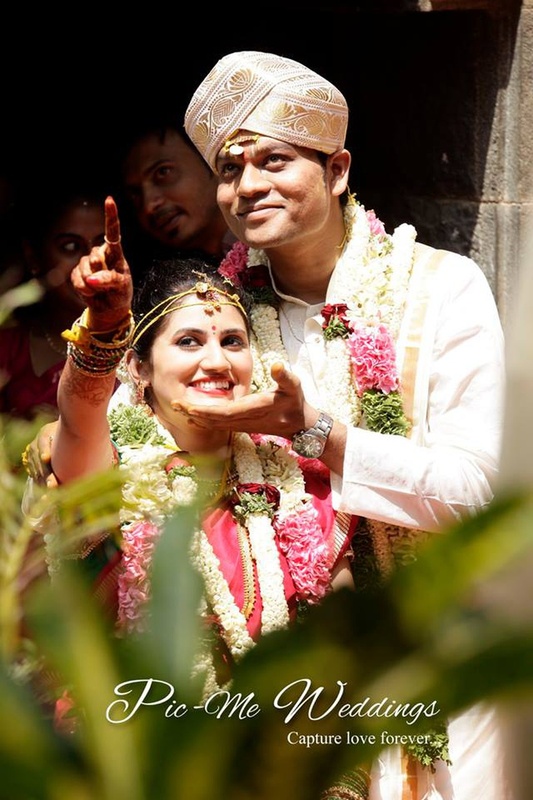 Once things were made official, this couple brought their fun side on! 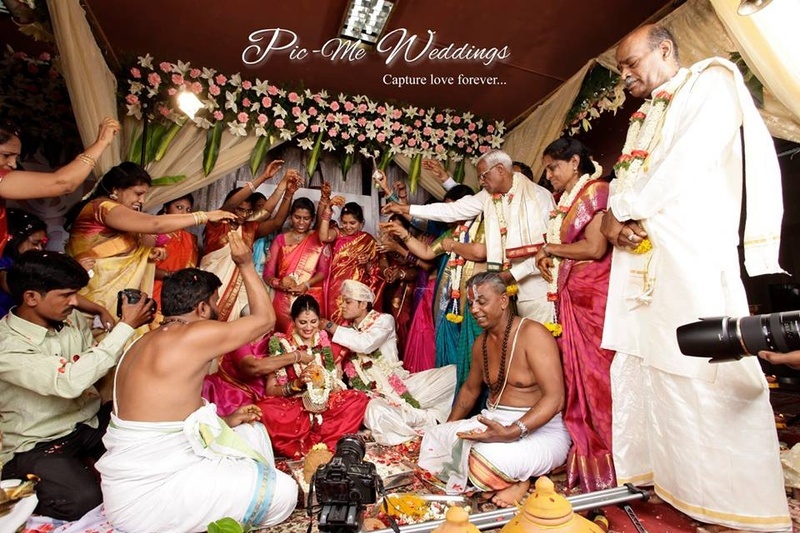 They engaged in an amusing post-wedding photoshoot with Achala playfully tugging Nagrajan’s garland and wearing his safa on her head! 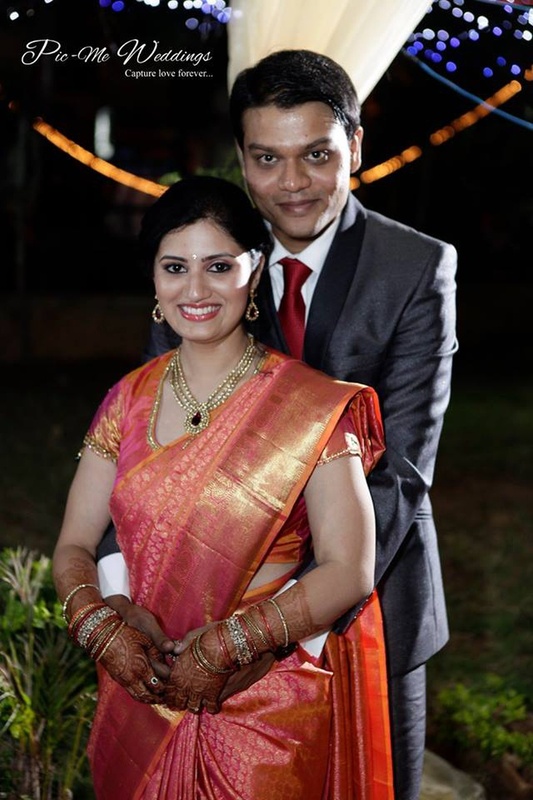 Later, at the reception this duo kept it classy and wore formal attire. 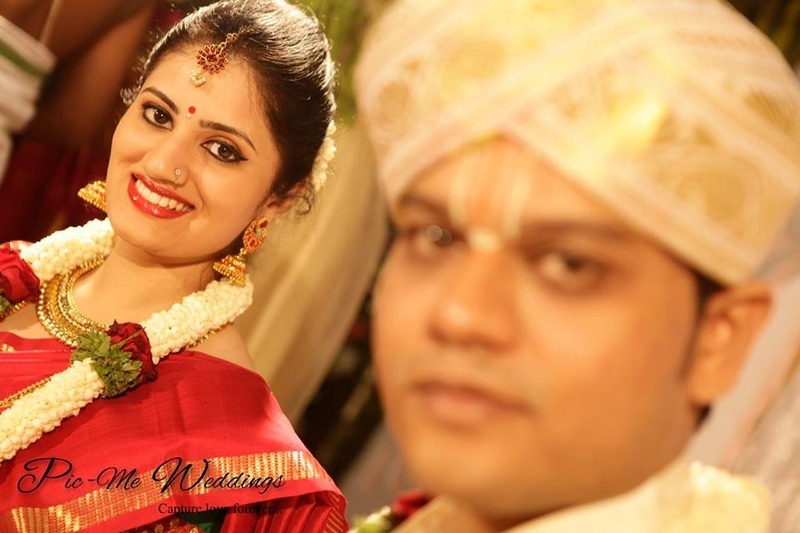 The bride wore a pink Kanjivaram silk saree styled and with a matching blouse and Nagrajan wore a sharp grey suit with a classic white shirt and maroon tie, complimenting Achala perfectly. 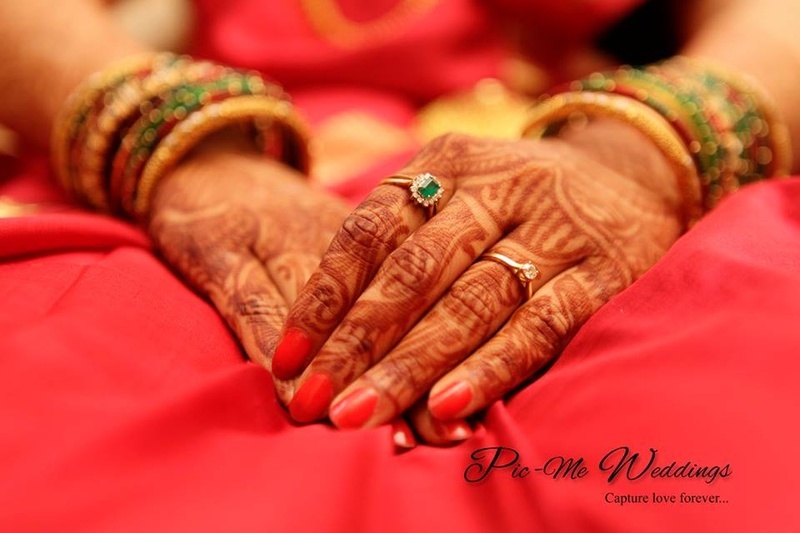 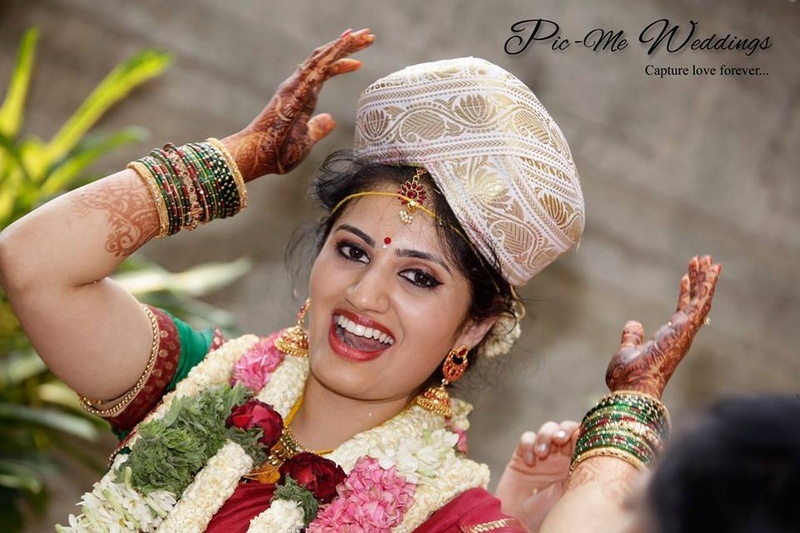 From the traditional wedding ceremonies to the lively post-wedding shoot, Pic-Me Weddings captured every moment perfectly! 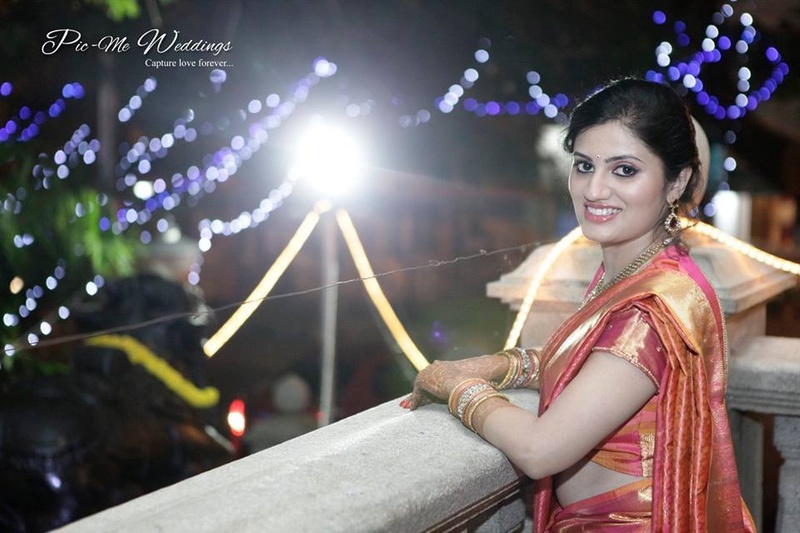 Let’s have a look at a few of their pictures right here!